Looking for something different to do on a Friday night? 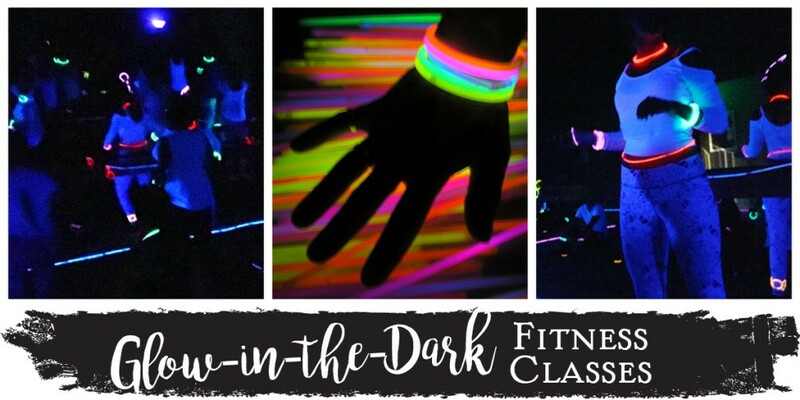 Try a glow-in-the-dark fitness class! We’re seeing this trend pop up all over in yoga, spin, and barre classes. Why are they so popular? Novelty is everything. 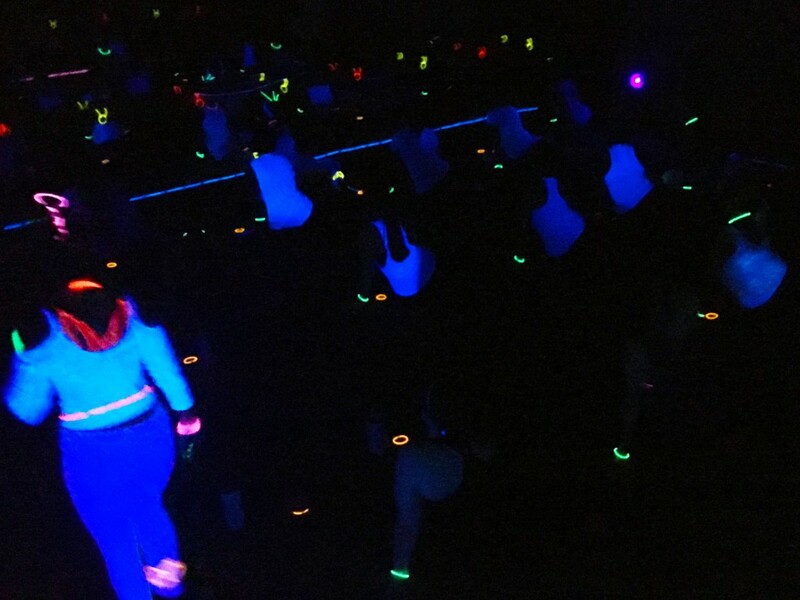 Glow classes make working out feel less like a chore and more like a party. Last weekend, Pure Barre Marina Del Rey packed their studio for an hour-long “Tuck ‘N’ Glow” session. If you’re not familiar with Pure Barre, a “tuck” is one of the key movements involved in the workout. The studio was transformed by glow bracelets, glow necklaces, and a black light. If you’re interested in hosting your very own glow fitness class, we have some great information to share. Here are a few things you should know before attending or hosting a glow class. Having a successful glow event means you’re going to need to ensure that your space is both dark and safe. The last thing you want is for your class to be cut short because someone got hurt. Make sure the room is free of any equipment that people could potentially stumble over. Line up anything that will be used in the class in an easy-to-find spot. Pure Barre MDR used orange glow bracelets to anchor their balls and lined up dumbbells right next to a a glow stick so that they were visible. Additionally, you’re going to need to get that space really dark. Think Space Mountain at Disney dark. Black out all windows with heavy black paper, and set up a few black lights around your room. Remember that having it that dark will make light from connecting rooms really pop out. Consider putting nightlights in connecting rooms so that people can exit without flooding your room with light. The whole point of going to a glow class is to enjoy “glowing,” so you want to wear the right kinds of clothes. White and neon shades will look great under the black light. Leave those black Lululemons at home and have fun with funky socks, leg warmers, and bright leggings. Complete your ensemble with some glow necklaces and bracelets. The instructors at Pure Barre MDR even wove them through their hair in braids. A glow class is something fun that people can ‘gram, snap, and tweet about. Generate a buzz before your event by making it an exclusive event you offer members. Social media is your best friend for advertising your fun class. Make full use of all channels! Join us this Friday at 5:30pm for a glow in the dark experience with @brittneynhenry We're talking black lights, glow sticks and killer tunes! Wear white or neon to join in on the fun || Only 10 spots left! In order for your attendees to get the full “glow” effect you need to have them enter the room all at once. Pure Barre MDR held off their members in the lobby and tagged their wrists with pink bracelets and green bracelets. When the studio doors finally opened their was a collective gasp of ooh and ahh! Proof that adults are just as excited by glow-in-the-dark as kids are. A fun playlist is the best way to get people excited to move and workout. 80’s tunes, techno dance music, and Bruno Mars remixes pair quite nicely with glow products. The fun thing about barre classes is that you’re essentially participating an a choreographed routine. The pink and green bracelets really emphasized the synchronicity of movement as the instructor led the class. The hour-long workout blew by for most attendees, and everyone agreed that the glow factor made it fun and exciting. 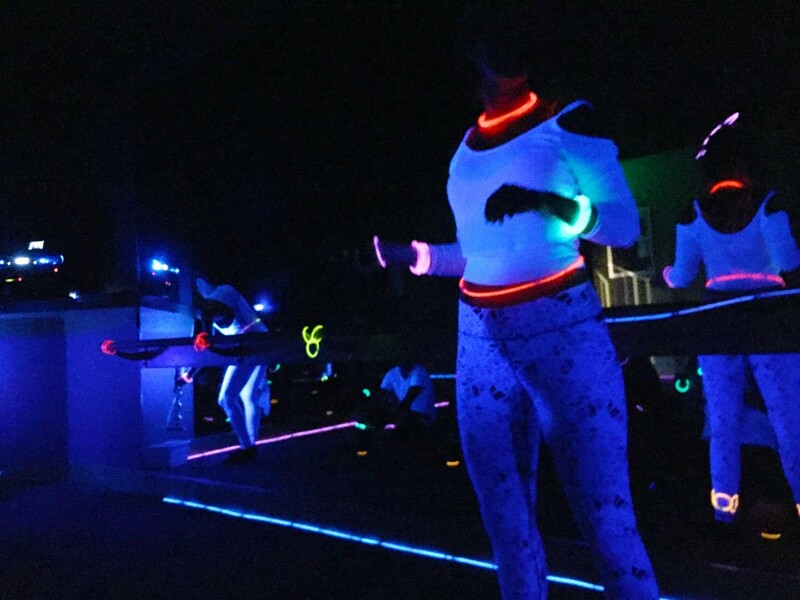 Pure Barre MDR’s first Tuck ‘N’ Glow was a success and is sure to be a repeat event. Where do you find the black paper? Sounds like fun! This studio switched their lights to black lights and encouraged everyone to wear white or other bright colors that would react to that lighting. They then added tons of glow bracelets and necklaces to add more color. We’d love to see how yours turns out!